So one of the best things about not working in an office is that I can write as God meant me too, which is to say while singing my own special harmonies to whatever songs I'm listening to, indulging in pleasant delusions about how marvelous they sound. Just now it was The Decemberists' "The Crane Wife 3," which fits nicely with what I'm writing, as I have a bird-woman, too. It's interesting to think about what music puts me in the right place for writing (actually revising). This book is a sort of late middle-grade/young YA novel with folklore and fairy tale elements. They don't really make playlists for that. The playlists I make for myself, now that I look at them, mostly include songs that soften me up a little, that put tiny cracks in the shell. Under-the-shell is where middle-gradeishness seems to reside, maye because the shell starts calcifying in adolescence. 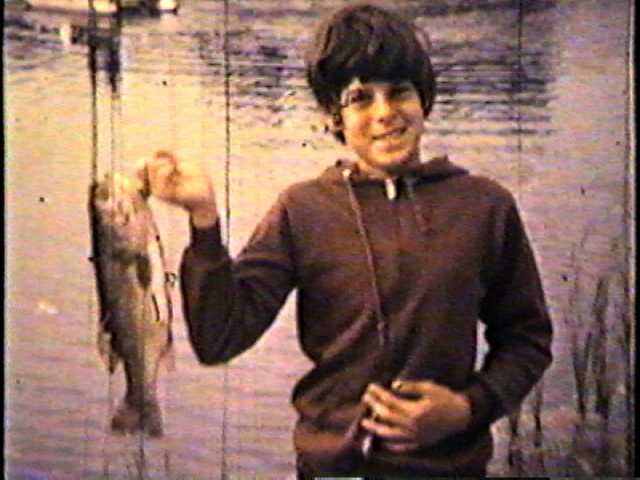 My brother at 11 or 12: nothing to do with anything, but he looks so beautifully middle grade. So recently the playlist has included "The Crane Wife 3," plus Joanna Newsom's "Sprout & the Bean," Stars of the Lid's "Dopamine Clouds Over Craven Cottage," Bright Eyes' "First Day of My Life," Sigur Rós' "Starálfur," Bach's Air on the G String , and The Peasall Sisters singing "In the Highway" from O Brother Where Art Thou--the latter maybe because it is sung by young girls. Plus Modest Mouse's "Float On," for good measure, because that song is such a kickass anxiolytic. But I am going to wear these into the ground soon, so if you have any suggestions, please please post.